John Arthur Clark (1943-1989) was born in Yorkshire, England. He attended Hull College of Art, receiving a National Diploma in Art and Design (N.D.D.) in painting. From 1966 to 1968 he attended Indiana University, receving an M.F.A. in painting. From 1968 to 1978 he was a lecturer in Fine Art and Art History at Hull College of Art and Newcastle Polytechnic. He emigrated to Canada in 1978 and became coordinator of painting and drawing at the Nova Scotia College of Art and Design. 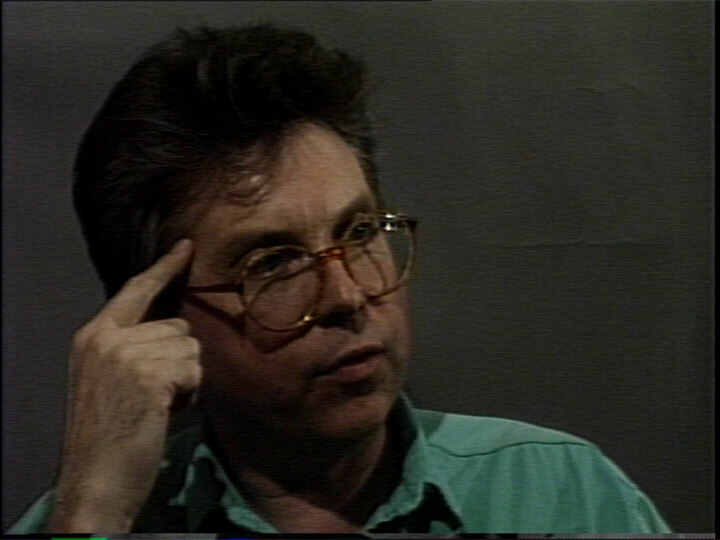 Clark returned to England for a time (1983-1985) as Head of Painting at Hull College of Higher Educaton, then returned to Canada as Associate Professor of Art at the University of Lethbridge, 1986-1989. In this interview with Kate Horsfield, Clark describes his youth experiences in Northern England, finding escape in the library stacks in art books and at the milk bars where he could hear American rock’n’roll. Clark not only discusses the evolution of his work but also his geographical history, living and painting away from the urban art scenes in London, Toronto, and New York. "The main aesthetic positions [in England] had to do with two kinds of formalism; conceptual art on one hand and a kind of Greenbergian art on the other... So I didn't really fit into the place I was in Britain at that time," he explains.